If I were Kim Fields I would take it as a compliment that the ladies of Real Housewives Of Atlanta don’t consider her a right fit for the show. On the reunion, everyone explained why Kim is too classy for RHOA, and now NeNe Leakes is giving her two million cents on the subject. NeNe tells TooFab that she believes Real Housewives Of Atlanta producers “thought [Kim] was going to be something that she’s not.” Meaning producers wanted Kim to sink to ratchet levels but she resisted? “I personally like her, but if I was casting, she wouldn’t be my choice,” NeNe continues. NeNe also adds that “maybe someday” she’ll be the Executive Producer in charge of such decisions! NeNe has notoriously battled with the Real Housewives Of Atlanta producers and this was reportedly heavily behind her motive to quit this season. Real Housewives Of Atlanta included Kim in the cast hoping to not only class up the show, but bring more star power to the group. I personally enjoyed that Kim was able to state her piece, without getting sleazy or trashy. More of that please! 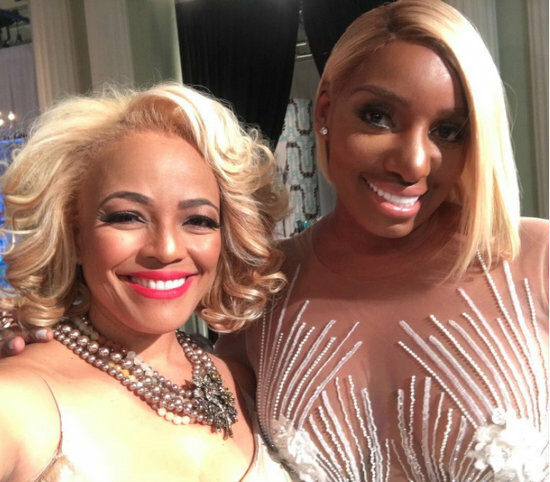 TELL US – IS NENE RIGHT THAT KIM IS A BAD FIT FOR RHOA?